Incubators today provide office space, networking, and seed investment. In return, incubators are paid a service fee, and in case of a seed investment, usually a stake. Without the investment, the incubator operates essentially in a glorified commercial real estate lease model. Since early stage startups have little capital, they cannot afford a lot of “rent” typically somewhere around $500/mo for a desk and access to a mentor, reference network, and events. Such cospaces are very interesting from a public economic stimulus aspect, but have disappointed private investors. For that reason, many of such cospaces have an additional seed investment branch, financing either all participants or a subset. The thinking behind incubators is, if we give 100 people a little bit of money, one will make it, yielding a large return. This however seldom plays out because those startups are severely underfunded. Underfunded to the point that they cannot afford more than a “lean” product. “Lean” is great for proof-of-concepts and demos but since barriers of entry are low, lean companies face vigorous competition once they found a winning recipe. They typically do not own and hence cannot control IP. Giving away 10-30% stake for a five-figure seed investments also eliminates the ability to raise actual funding at a later point. Many graduates from incubator program have to take an interim funding before they can go for first round seven figures to bridge the seed funding gap. By that time, not much equity is left. 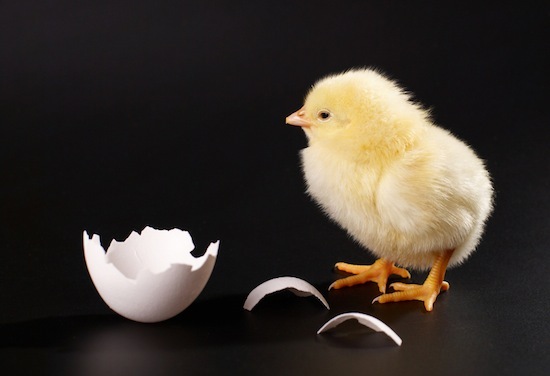 The fourth issue with incubator style seed funding is that founders cannot afford an income. Sure, a founder without an income from a third-party investment might be more vested, however, this usually excludes any experienced mid-career founder who bring with them industry specific knowledge about highly lucrative gaps and markets the typical young incubator participant has never heard about. But mid-career founders usually bring with them a baggage of mortgage, a family, a car payment and other commitments. Most participants in incubator seed programs today have never had a corporate job in their life. Living lean dorm style is often just an extension of their college life. However, it needs more than enthusiasm and a hacker mentality to become a successful entrepreneur, such as proper industry knowledge out of big-business, to understand a market, either because big-business is the incumbent, or because big-business is that budget rich customer, they need to grow. Surprisingly, weak with most incubators, is the network, the strongest argument incubators usually are making for themselves. Almost all incubators are doing very well building a motivational support network around the entrepreneur. Many are also doing well by building a network of mentors and third-party service tailored to startups. However, most incubators fail where it matters most, and that is building deep industry relationships. The bottom line is that you need to understand what to get out of an incubator and what is wishful thinking. The single most benefit from joining an incubator is the motivational support, to sit in a cool office and breathe the air of excitement and helping each other through anxieties. This may be very well worth the $500/mo. If the incubator offers you free money, meaning money for no stake, take it. Graduating from an incubator also may add some credibility to your endeavor, though not a free ticket to get that seven or eight figure VC funding, which you would need to grow up into a real company. However, if you join the incubator for the funding or to babysit you through getting your company launched, think twice. The incubator most likely will not get you the industry relationships you need for partnering and selling your product. They may work with some VCs, but then we are hearing about the famous seed stage funding gap. The reality is, if your business is desirable, VCs are noticing you and come to you. Then you want to make sure that you retain enough stake to raise sufficient funds to grow staff, put in the R&D you need for developing unique IP, and are able to muscle your product into the field. Thank you very much for serializing the thoughts on accelerators/incubators. I have the same conundrum. I am building a healthcare application, the idea has been validated but I cant afford to quit my day job unless I am funded. I am happy to fork the stake in the company for right mentors and connections. Albeit the Angels see a CEO with day job as a Red Flag. Talk about chicken & egg! @gaurav, I think this conundrum represents a serious funding gap and lots of money left on the road. Few mid career people can afford to simply drop off. Sure, you might have the funds to kickstart the business, but then you do not have the runtime for your personal expenses, and you need to expect, I would say, two years or so. But then mid career people have the insight into lucrative protective markets, and easy access to insiders. I am hearing this all the time from my peers in the security and networking space. SDN, SDS, operations automation, bla bla. Sure we all know the market gaps and how to fix them, but most cannot afford to spend a $100k of their retirement money, and then feed the family for two years. Have a look at my other post, where I said that the only solution is to build a demo/mockup on the side, and the reach out for enough funding to pay yourself a salary. This might be beyond angel stage, though. It is a conundrum. Not sure how to solve it. I am thinking that investors are missing out on some great opportunities as mid career people have an exceptional view into markets and opportunities, just not the run time like a kid out of college.